A Doctor of Chiropractic’s (D.C.) education is approved by an accrediting agency recognized by the U.S. Department of Education. Prior to entering a chiropractic college nearly four years of pre-medical undergraduate college education is needed. The chiropractic curriculum includes a minimum of 4200 hours of classroom, laboratory and clinical experience. 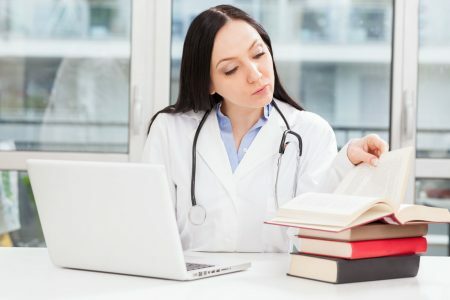 Doctors of Chiropractic must complete classes in Anatomy, Biochemistry, Physiopathology, Microbiology, Public Health, Diagnosis, Diagnostic Imaging, Clinical Laboratory, Rehabilitation, Nutrition, Chiropractic Technique/Philosophy, as well as Business and Practice Management. There is also a minimum of one year clinically based learning dealing with real life patient care under the direction of a licensed chiropractor. Doctors of Chiropractic must pass four separate board exams. In New York State, Doctors of Chiropractic must also complete 36 hours of continuing education every 3 years. Info received from the American Chiropractic Association.